Enjoy a real taste of traditional sailing and seafood with an overnight cruise along the Devon Coast on the magnificent Pilgrim of Brixham. 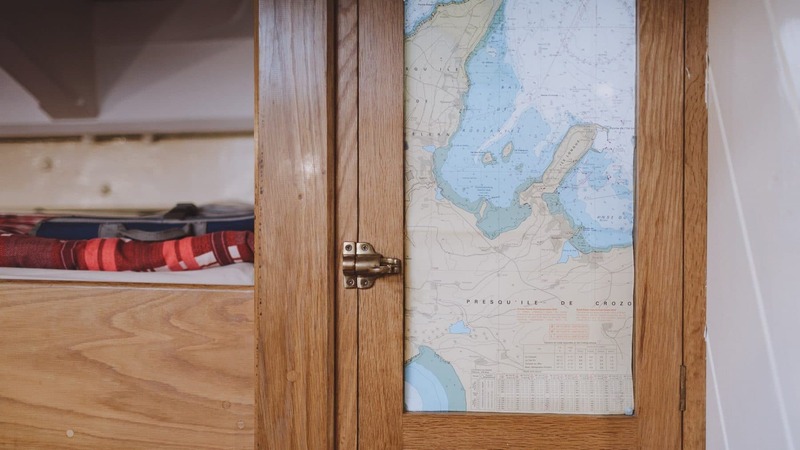 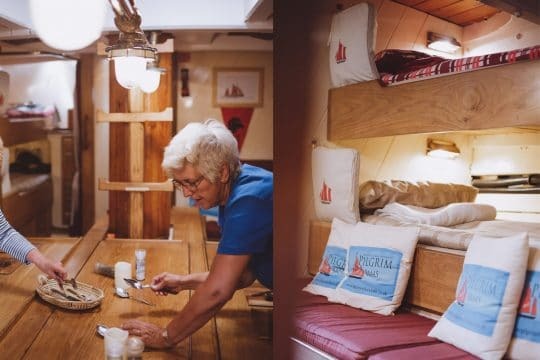 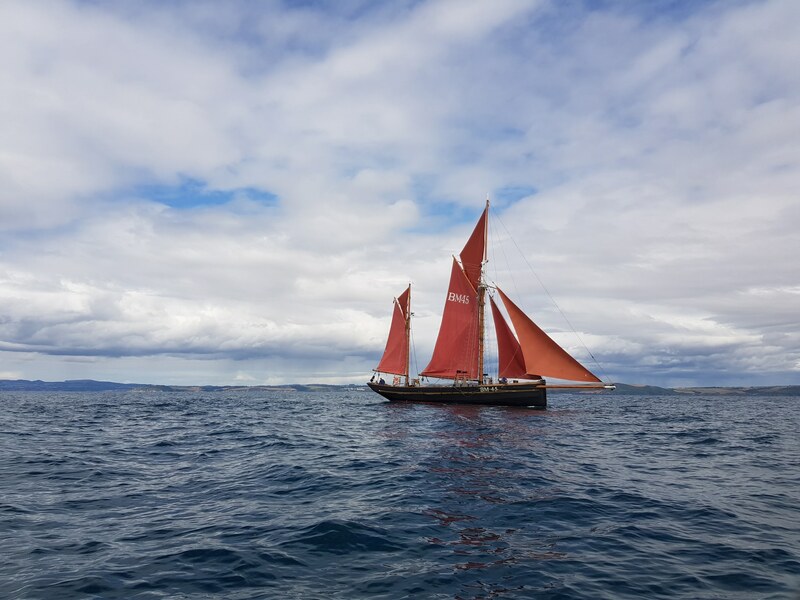 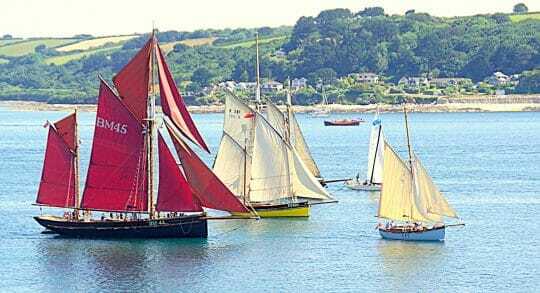 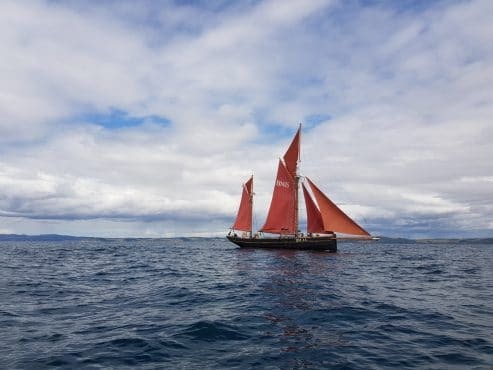 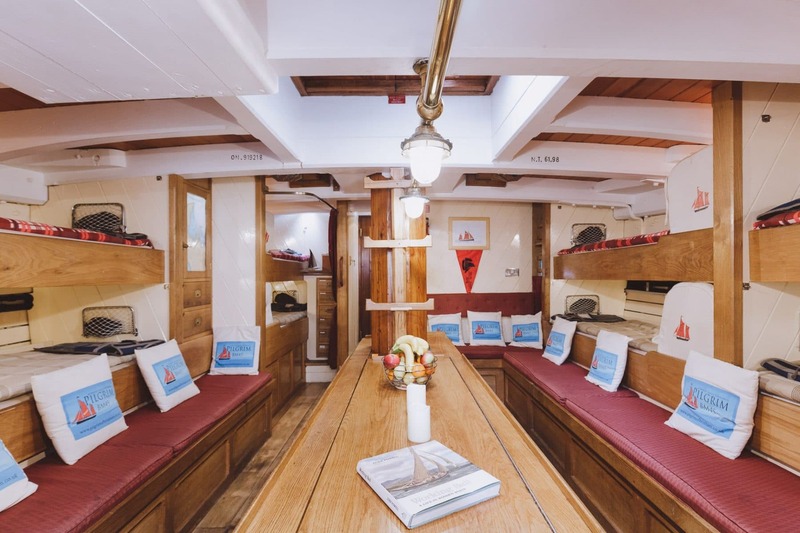 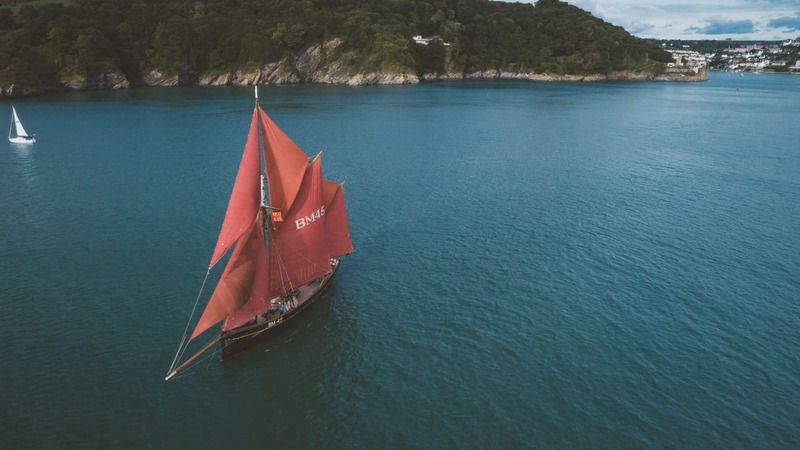 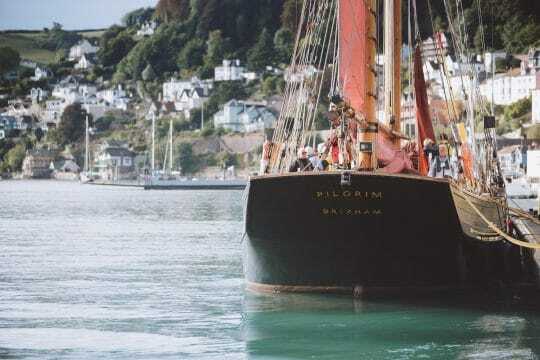 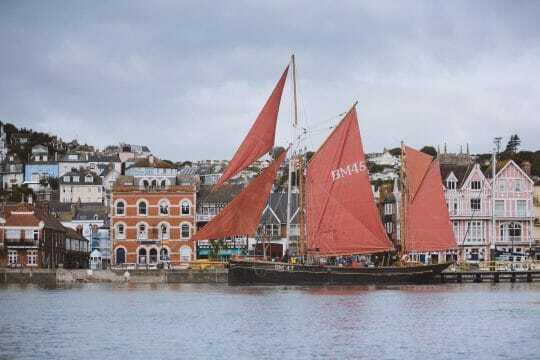 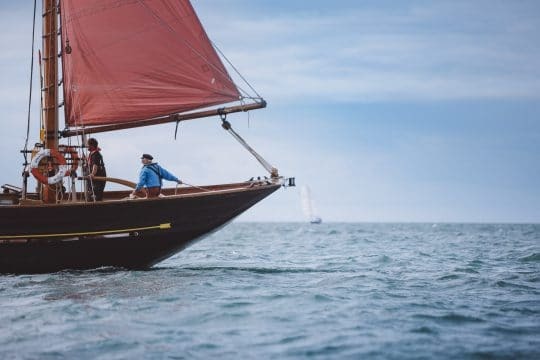 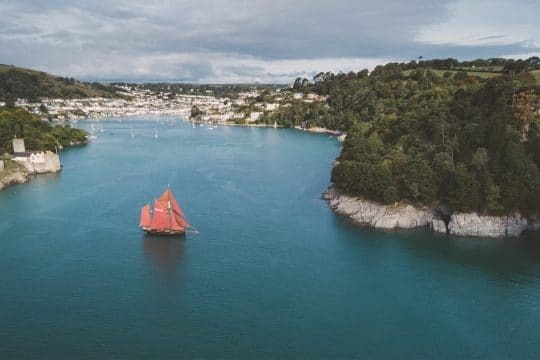 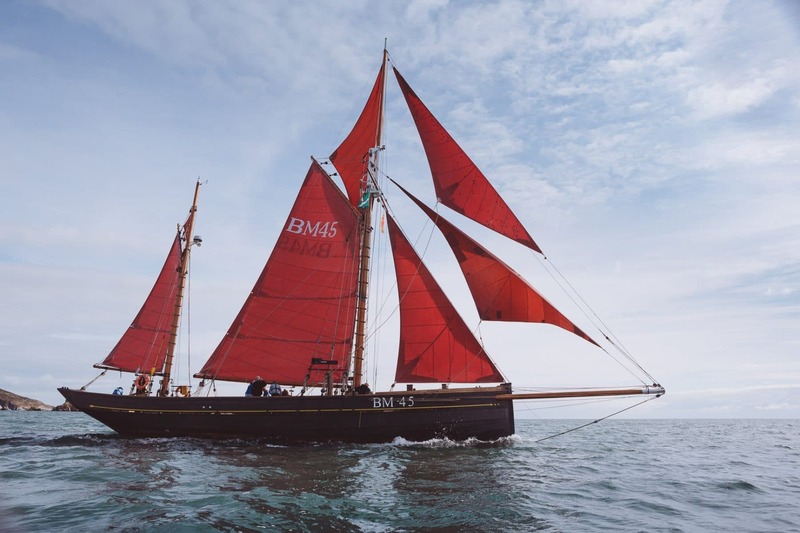 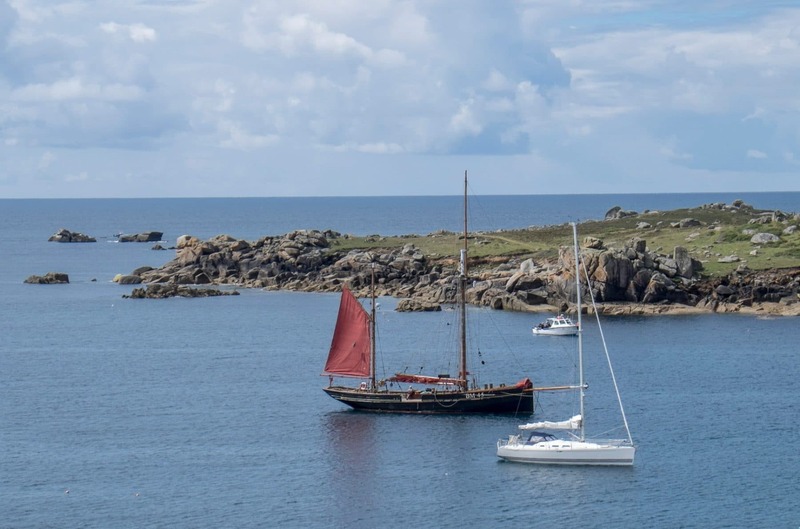 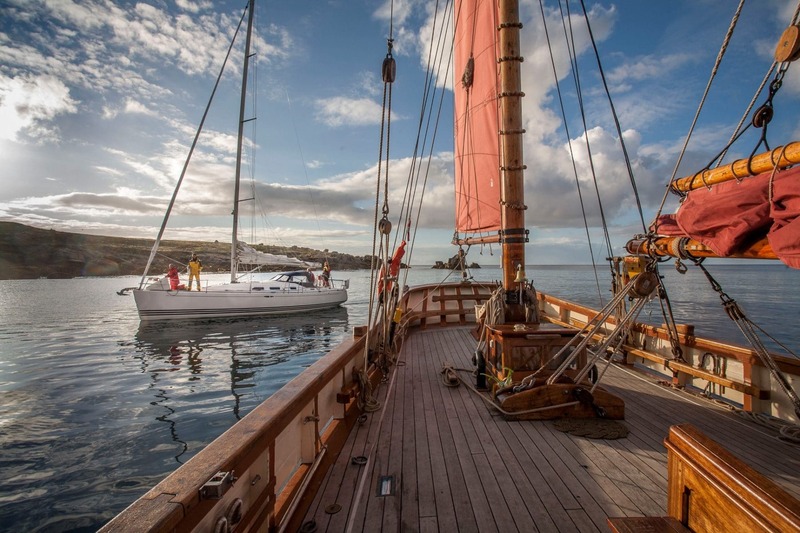 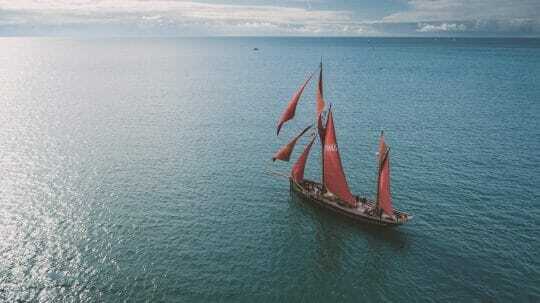 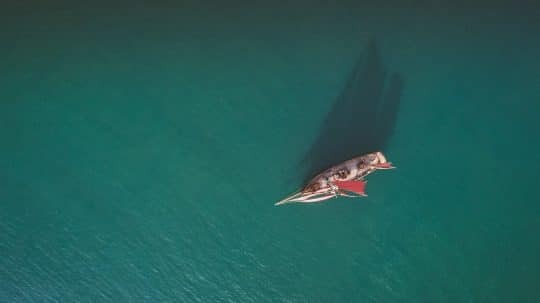 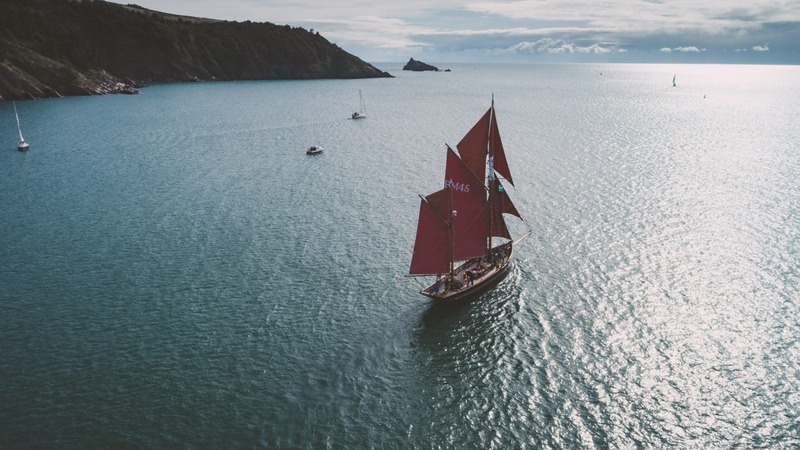 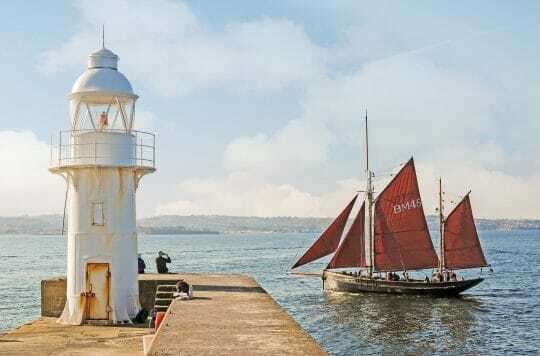 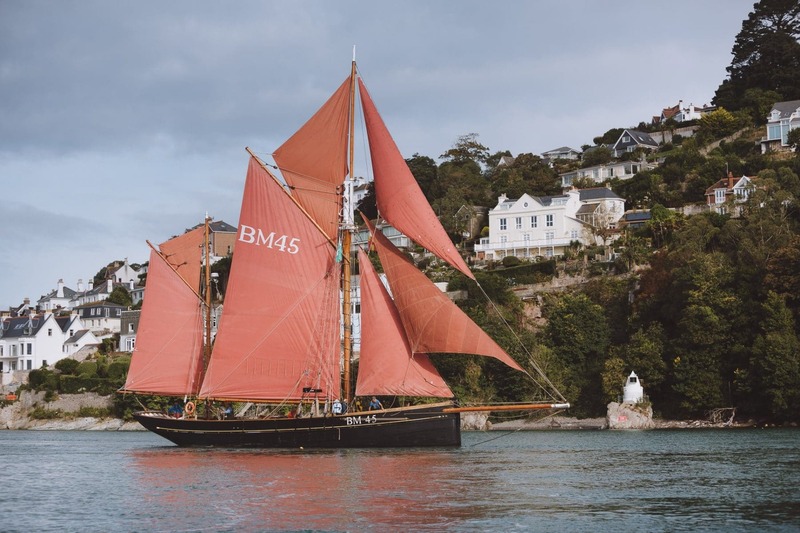 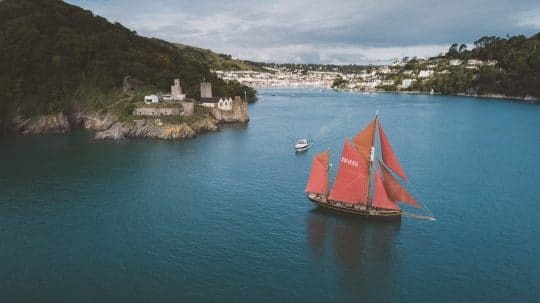 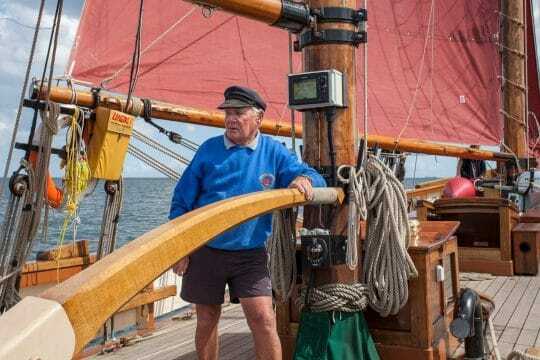 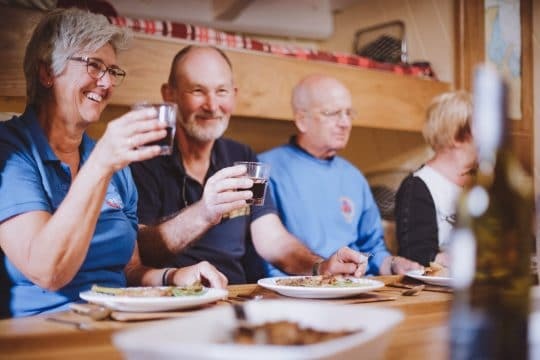 With her traditional red sails and rich heritage, the Pilgrim of Brixham is the perfect base to combine a sailing introduction and locally-sourced seafood for a weekend to remember! 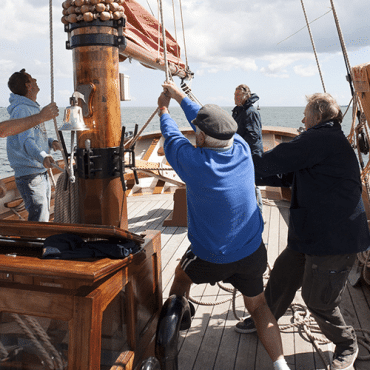 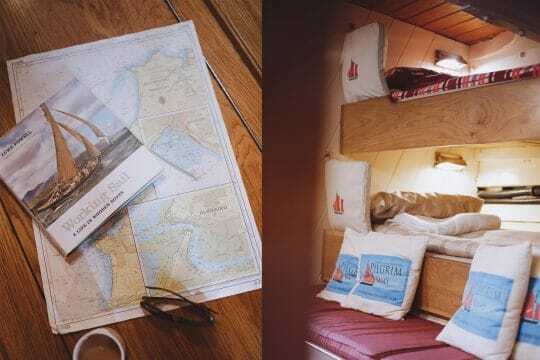 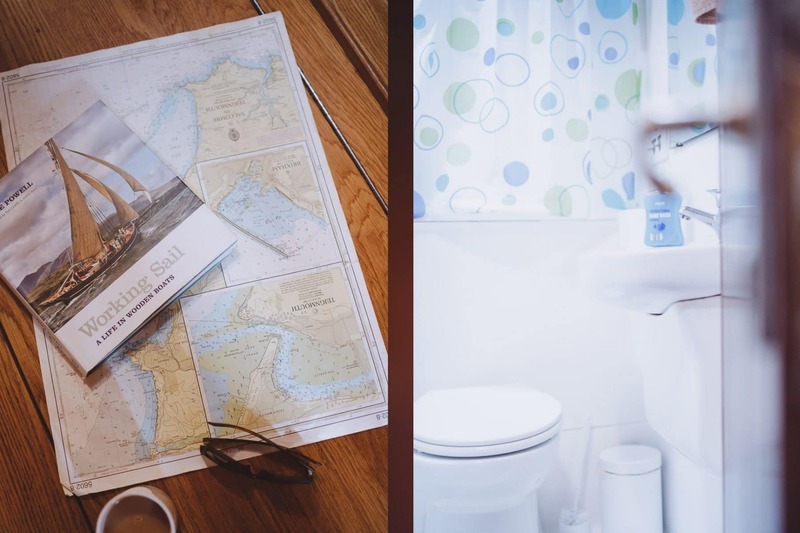 During your Seafood Bed & Breakfast weekend, you can either sit back and relax or help the crew hoist the sails and even take the helm – it’s up to you! Whatever you decide, enjoy the magnificent scenery, fresh air and exhilarating sailing. Our Skipper and crew will be on hand to ensure that your time onboard is as enjoyable as possible. 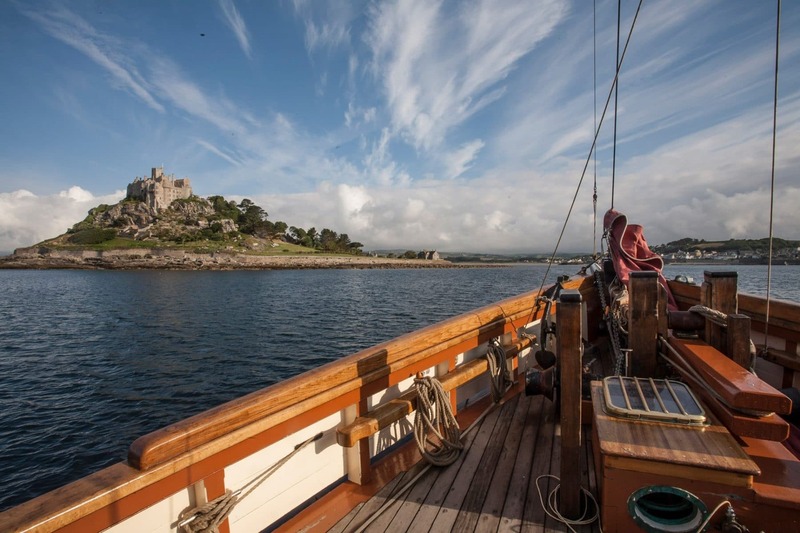 Whilst you enjoy the scenery, our onboard cook will have prepared a traditional Devon Cream Tea. 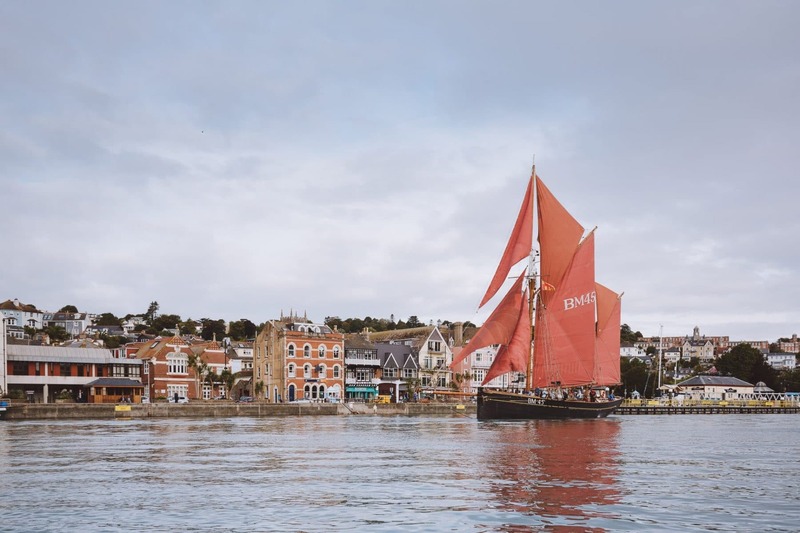 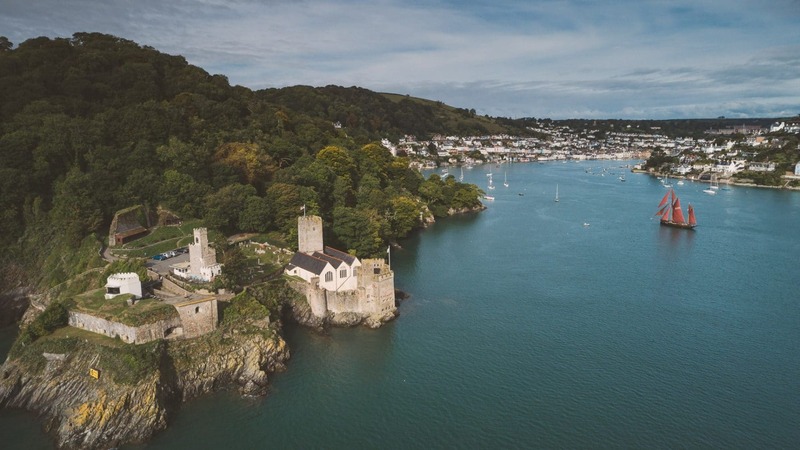 Later that evening, start dinner with a glass of champagne and enjoy a sumptuous seafood supper which will have been locally sourced from the very waters you will be sailing through. 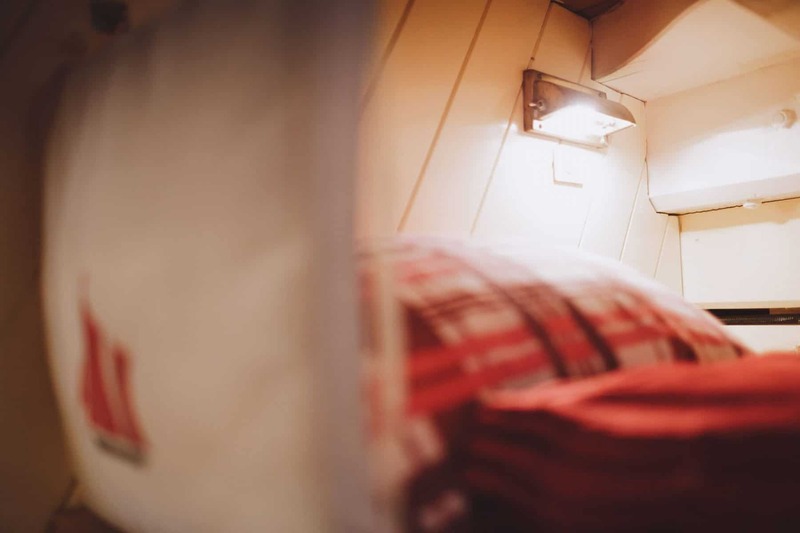 You can then relax before you settle down for a comfortable nights sleep.